You know the running joke how about how women are always complaining to a friend or partner about how they don’t have anything to wear even though have a closet filled with clothes at their disposal? Well, sometimes they are actually telling the truth. I sure was. For years, most of the garments I owned were far too small for me. I’m talking pants that wouldn’t go past my thighs, tops that didn’t fully cover my stomach, and dresses that made me feel like I was suffocating. You’re probably wondering why someone would do that to themselves instead of just getting clothes that actually fit them. For one thing, years 0f terrible self-esteem. Also, I truly believed one day I’d be able to wear those clothes again, so why bother spending money replacing things? Before I get ahead of myself, let me explain where such terrible thinking came from in the first place. Between my first and second year of college, I put on a significant amount of weight — even more than the freshman 15. As a result, most of my old stuff was way too small for my new shape. 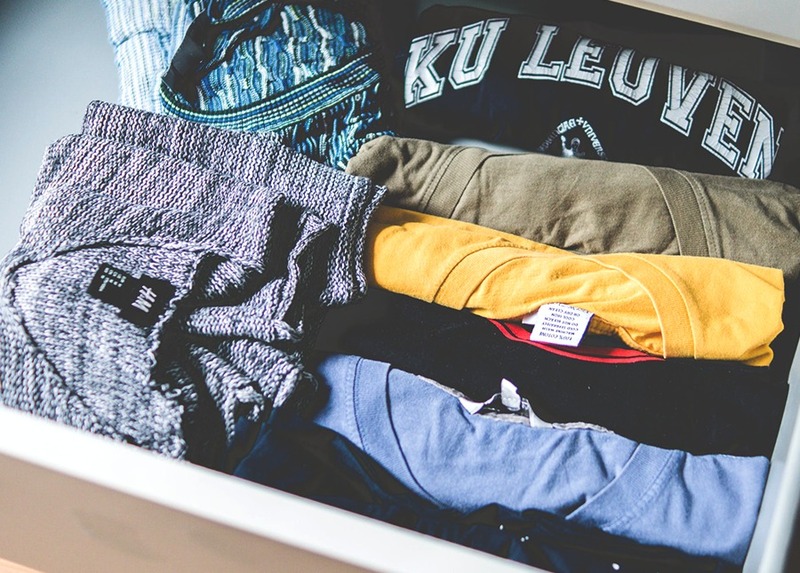 Instead of discarding the items and updating my wardrobe, though, I held onto them for months, all because I was in deep denial about the weight gain. Thankfully, I eventually came to my senses and realized I couldn’t continue living like that — it was causing me a lot of emotional pain. On my journey to self-acceptance, these three things helped me accept my new body. 1. I sought out companies that make awesome clothes for larger body types. ASOS, Boohoo, ModCloth — I love these lines so so much. Not only do they make a point to carry a wide range of sizes for an array of figures, their plus-size offerings are just as great as their straight sizes and they are affordable. For so long, plus-size consumers were stuck with bottom-of-the-barrel designs. It was truly pathetic. Now, thanks to said brands and others like Eloquii, we have far chicer choices to choose from at different price points. I’m glad I made a point to find them, as they made me rediscover my love of fashion. Gone are the days where I squeeze myself into something because I don’t have any other options. 2. I surrounded myself with positive influences. I went to a high school where your image was everything. As a fashion design student, I was constantly judged by my peers for my ability to create beautiful clothes and how I dressed. “How can you expect people to buy your clothes when you have your own fashion line if you don’t look fashion-forward?” Consequentially, I spent a lot of time getting dressed, carefully picking out outfits that would impress the other students and prove my worth. I didn’t realize it until recently, but that time period really impacted the way I approached fashion. By the time I got to college, that mindset of dressing for others was ingrained in me. Luckily, I was able to break out of that cycle by surrounding myself with people who never ever judged me by how I looked. I also made a conscious effort to fill my Instagram feed with body positive influencers who look like me, instead of the slender types I was used to seeing. 3. I sorted out my emotional trauma. I’m going to be honest: putting on a considerable amount of weight in a short time frame does a number on your psyche. All of a sudden, you’re faced with an entirely new body and a well of emotions — with no handbook on how to deal with them. Thankfully, I had the means to go through months and months of therapy that helped me unpack my feelings towards my physical appearance and the changes it went through in college. Additionally, I started meeting up with a local food addicts anonymous group, per my therapist’s suggestion. It was a moving experience that opened up my eyes to just how much I relied on food as an emotional salve. Ultimately, my relationship to my body still has its ups and downs. There are times where I can’t stop staring in awe at the reflection in the mirror and other times I run away from it in horror. Thankfully, these days, the former happens way more frequently than the latter — all thanks to these strategies I’ve employed. And now that I’m far happier with myself, it’s become much easier to get rid of clothes that don’t serve me. I no longer aspire to be who I once was because I’m comfortable with who I am today.